Aaron Gallego Rodriguez whipped his 82-year-old father with a cord, which cut and bruised his face, arms, back, chest and legs, according to the Pima County Attorney's Office. Rodriguez also allegedly stole his father's credit card and attempted to withdraw money at several ATMs. Rodriguez was convicted of vulnerable adult abuse, domestic violence and aggravated assault, temporary/substantial disfigurement and theft of a credit card. His sentencing is scheduled for March 18. 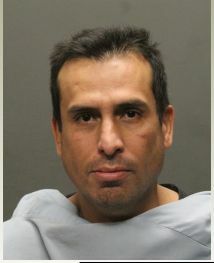 Police arrested a man Thursday on Tucson's east side who is suspected of robbing a Wells Fargo bank on Feb. 4.